This is what I use, it’s real easy on the hands. This looks pretty nice. The scroll ring sounds like a nice feature. I freaking loved this stupid little thing. One of the best controllers for playing random mame emulation shooties or snes games. I went through 4 or 5 of these Thrustmaster Firestorms in the mid 2000s with general emulation + late night Kaillera. 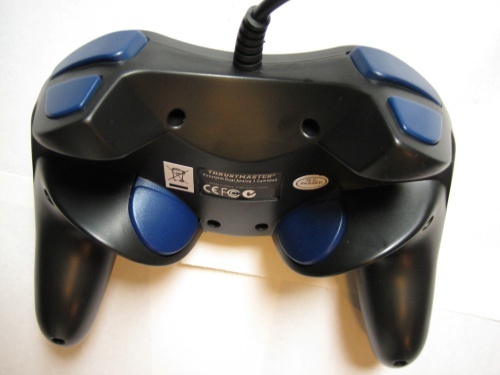 At some point I remember them switching from a more loosy goosy d-pad to a tighter unit and the dream was dead. Is the dual-analogue for a specific game? Normally I find N64 port to, say, GameCube mildly distracting because the C-buttons map well but not perfectly to a right-analog stick. At some point I remember them switching from a more loosy goosy d-pad to a tighter unit and the dream was dead. How could they? That thing was the best. I think I still have it laying around some where. I am feeling nostalgic for some Neo Geo emulation. Fire up that Viewpoint. Those Thrustmaster d-pads are so weirdly mushy. I bought one of those for a friend ages ago and it took me so long to adapt to it when we’d take turns working through the GBC Zeldas. Once I got the feel for it, I kind of loved it though. I kinda like the conceptual setup of Joy-Cons with an analog stick and six action buttons, but I hate the actual buttons and stick placement. Are there any control pads that are just an analog stick plus six buttons? Might not exist in gamepad form factor if you exclude the Joycons and anything with either a d-pad or 2nd analog stick? Maybe something in the cellphone mini bluetooth miasma. The company that made this, micomsoft, is still in business. These days they are mostly known for the XRGB Framemeister and other retro console video scaler/switcher/capture devices. Yeah, my experience with those particular controllers is that they stop working after roughly two weeks, whether you use them or not. I’ve been playing various Ridge Racer games with various controllers. The Jogcon wheel is nowhere near as precise as the NeGcon, so it’s target audience was bound to hate it. Unfortunately, the default settings for both controllers only make this worse. Both have a deadzone of 3mm, but the Negcon has a default 45 degree movement and the the Jogcon has a default of 30 degree movement. The Jogcon is more notably improved by turning off the deadzone. It still isn’t anywhere near as precise as a NeGcon, but the force feedback is super fun. R4 with the Jogcon feels like an arcade game. 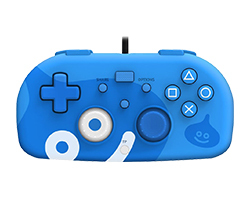 While the NeGcon seems to have been designed as a controller that will only be used for racing games, the Jogcon seems to have been designed as an alternative controller you can just leave plugged in (when you don’t need analog sticks). The Dpad and face buttons are great. I tried some shmups with it, and I was very impressed.